Glucose is built for tracking blood sugar, A1C, medications and more. This makes it easy to identify trends and retain your data. It is simple to continue tracking weight and blood pressure. You can also schedule reminders to ensure that you are diligent about checking your blood sugar. 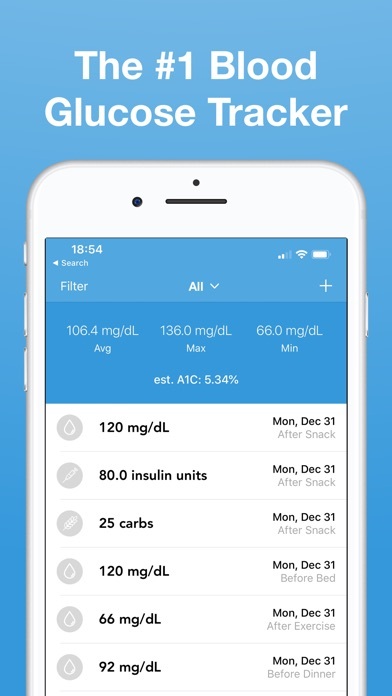 Whether you have diabetes or prediabetes, this app makes it easy to track your blood glucose levels. The app also tracks what time of day you are checking your blood sugar, such as first thing in the morning, before a meal, or before bed. You can also add a note to each record. Glucose also allows you to track insulin, medication, A1C, blood pressure, carbohydrates, weight and ketones. It is a comprehensive app for both diabetics and prediabetics. You can also sync data between devices, export a report for a loved one or a health care professional, and even view a graph of your data. 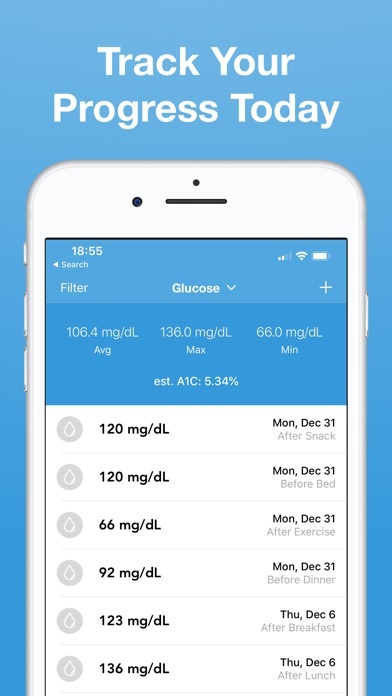 The app also has configurable reminders to check your blood glucose levels. This helps you make sure to check these levels to stay in control of your diabetes. Tracking has never been easier. 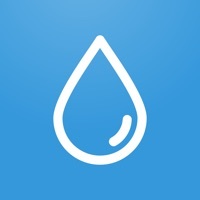 Glucose integrates with HealthKit by writing all inputted entries to the Health app. Be in charge of your diabetes! Blood sugar tracking has never been this easy! This diabetes tracker also has an estimated A1C level. Please note that this is just an estimate and should never be used for diagnostic purposes. This app would be great if they would fix the annoyingly sluggish syncing between devices. It takes forever. Update 04-12-19 the update does not fix the sluggish syncing issue, just makes the app crash more often. I love that this app estimate the A1c levels and averages the blood glucose readings. My only complaint is I cannot adjust the graph in any way to show all the readings I have taken for my wife. It is very simple but has everything I need. Super user friendly!! I literally downloaded every glucose tracker I could find and this one is easiest to use! I suffer from LOW blood sugar and need to eat every few hours (no skipping meals!) With a reminder to eat if glucose levels start to fall. As my doctor wants me to loose some weight, it’s making things difficult! BUT there’re NO instructions nor videos for help in setting up the parameters! I’ve had my app downloaded for a week with NO readings! And don’t know how to get it started! Please HELP! My 4star review is now 5. I had a suggestion for the app, which I didn’t now it was capable of. The response was very quick with a short explanation of how to do it. I wanted to add a medication, which I should have known it could do. Anyway, it connects with Apple health. Get it, there are many, many apps that *should* be this good and responsive. My daughter was just diagnosed with type 1 and this app has really helped me get a handle on her finger sticks, carb counts and insulin. My only request would be to have the app interconnect between parents and kids smart devices. As a person recently diagnosed with diabetes, this app took the stress off me for monitoring my tests. I recently asked a question through their suggestion link and was quickly replied to the following day. Since then, we’ve gone back and forth in conversation regarding my suggestion. My overall experience is really good and very satisfied with their quick and responsive communication. Thank you for this free log. The data that is emailed is perfect and I love the simplicity of the app. This is extremely easy to use to keep track of your blood sugar and also allows you to enter in carbohydrates if your counting those. Has an area to type notes, such as when I was sick for a week and my blood sugars were high. Very easy and simple! This is such an invaluable tool. You did a fantastic job developing this app. Thank you for your hard work and the bonus of making it free and with no annoying ads. Thank you and Keep up the good work. 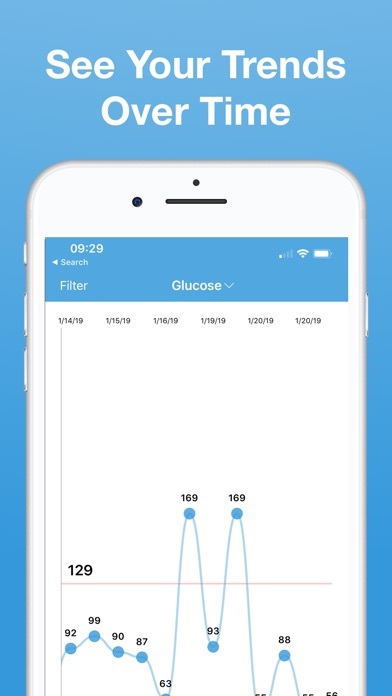 This is a great app for tracking glucose and feeding the data to the Apple Health app. It is easy to use, good UI, decent graph output. Some suggestions for future versions: - Allow users to re-arrange the sequence of time-of-day options. 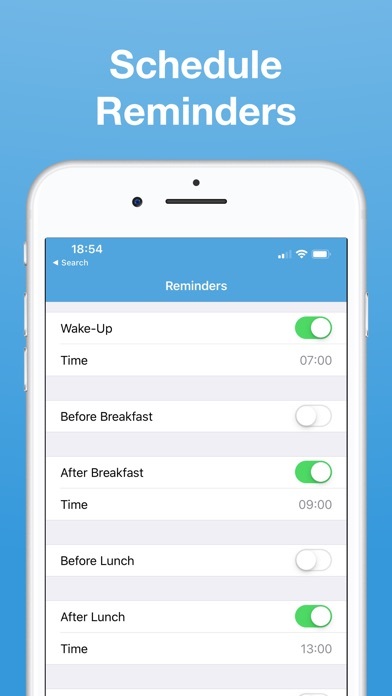 Most users probably test at certain times during the day, such as “wake up” “before lunch” “before bed”, but the predetermined sequence forces the users to scroll through all of the other time options just to select the one we actually want. - Explain exactly what are the benefits of creating an account. I signed up with userid/pswd, but it doesn’t really do anything, and couldn’t find any details on what it does. Does it save our data on some cloud or icloud? Sync with other devices, or just to send us junk mail? I ended up logging off and didn’t sign-in again. Updated on 1/15/2019 With the most recent update, this app is now 5 stars. It is simple to use, clear display of data points and graph, allow users to specify ideal range for high/low, and date range for calculating A1C. One user made a comment about the app’s calculated A1C not being the exactly the same as the one taken at the doctor’s office, but fairly close. This makes perfect sense, since this app can calculate A1C based ‘only’ on the data points entered into the app, maybe x number of times each day, compared to the doctor’s office which is the actual A1C taken from the blood sample over 90 days. This app’s estimate A1C gives the user a trend, so the user can judge how well they are doing over time. Thanks for creating this great app. When i went to the Dr for my regular blood test it came up pretty high at 11.5%. I started to monitor it and found this App helpful. As I started inputing my daily sugar reads from my Meter in the App, it came to the time i had to get another blood test ordered by my Dr. I never missed a day checking my blood sugar 8 times daily. The Blood tests HGB A1C came back at a whopping 7.9%. The App read 7.12% so this app is pretty accurate with the estimated %. I recommend this appto track your sugar reading. Awesome App. Simple, easy-to-use app with instant A1C result. A great motivation tool. Thanks. This has been a great app for me to use for gestational diabetes. I can track my glucose easily along with my daily weight and BP all in one simple place. Managing diabetes and being pregnant is hard enough so I can’t give enough praise to the app designers for making my life easier. And it’s free with no ads...perfect! Simple, elegant, data recorder. I can see where it might not work as well for T1D’s as T2 and Pre-D, but it works very well for me. Love the running average; love the estimated HbA1c. Data entry is smooth and simple, space for notes is great! I don’t use the reminders at all. The trend graph is a good tool also. Easier to show a medico than the mess that printed out when I emailed to myself! I do love an app such as this one that does what it promises, and does it invisibly. Thank you! Thank you for creating this glucose tracker. It is extremely user friendly ( I became very frustrated with many others), and it will track all that I need in one location-I was really concerned that no one had what I needed, but YOU DID IT! The only suggestion I would like to request would be to include a nutritional search function to eliminate the need for an additional app for that. I truly can’t thank you enough for creating this app-it has reduced my stress level dramatically. Not very efficient. I used to be able to enter my glucose and insulin in one entry. Now it’s two entries and takes twice as much time. Before the latest update I was able to input my glucose, carbs, and insulin all in one screen but now I have to go to 3 separate screens. Not a good update. Would highly recommend the older version but not this one. I have tried many different glucose tacking apps and this one is the best. This is easy to use, simple to read and has no ads. I did not read the description before I bought it but I think the developer must have a family member with diabetes or is very sympathetic towards diabetics because to make an app this good for free really shows a kind heart. Not somebody just in it for the money. Easy to set up and use. Not colorful or full of useless features. Just stats on a graph. Watch app does not display info. I switched to a IPhone from a Galaxy S6active. The S6 has much more information, blood glucose targets, Carb settings and notes. Maybe the IPhone program has this but I can’t find it. I like the ease of tracking my sugars with this app! Super user friendly! Nice input and graph. BUT it keeps repeating data in the Health app. Raw data is repeated for every entry after each addition. And No help from “Glucose team” after multiple requests for help. I have just been diagnosed with diabetes a few months ago. I was using a paper log and thought there had to be an app to do this. I found this one. I really like it. Especially the reminders....BUT I only have to take my blood 2 days a week. I don’t want to turn off the reminders because I honestly need them, but it’s frustrating to have to get reminders every day instead of just the days I need it. I am so used to my phone calendar reminders that allows me to repeat reminders every week on the same days. I may go back to doing that. Other than the reminders, I think the app is pretty cool. I like the predicted A1C from my numbers. I also like the graph. I also like that I have a digital log and something easy I can show my doctor instead of having to remember to bring my paper log. Thank you for such a nice simple and effective app! This is one of the only glucose apps that let you export your numbers without a 30-60 dollar upsell. Thank you again! I love this app! Daily I use my smartphone to track appointments, mail, and communication tool. Since adding the Glucose App, I am checking my blood and adding results to the app. I love the estimated A1c result based on my recordings. Reading those results daily promotes better food choices - I want the numbers to be in normal ranges. There’s no apparent way to import your data from HealthKit. Contacted support through the app, but I’ve been waiting for two weeks without an answer, so their customer service is crap. Gave it one star because I can’t give it zero stars. Deleted. I’ll find something else. Every time I open the app on my watch the screen goes black. It has never worked as shown. The iPhone app has forced me to track my sugar numbers - so that is a big positive! Easy to use. I am new to measuring my glucose and this makes it easier for me to show the Dr next time I have a appointment. Easy to use & understand. Cannot view, edit entry details after they are saved. This is all new to me and actually has made me more diligent with my regiment daily. I’m happy with the tracking charts because I can see what’s going on that is invisible to the eyes if I wasn’t aware of what T2D does without knowing the importance of taking care of yourself correctly. I check and track more because of the simplicity of this tracking app. It’s a blessing that I have another day of living to celebrate. Awful! Every time the app is launched it writes ALL of its data to HealthKit which creates many redundant records in the Health app and any other app reading from HealthKit. I love this app! I struggle with my glucose. I needed something that wouldn’t add to the chaos that is my life. This app is super simple, amazing easy to use and just amazing. Thank you so much for making an app for people who can’t afford to spend money on add ins they don’t need! Love the App. I was Diagnosed with T2 in April my A1c was over 12, and I started on the Keto diet, exercise and Intermittent Fasting along with Metformin, according to the app I’ve manage to Cut it in Half I’ll be going to get labs in one week, but I wanted some sort of a Diary so I could keep a chart and also Write notes about the Stomach aches-the helplessness you feel, and notes on how different foods Affect my Glucose And My wife found this app so Thank you is Great Help. The data is not coming out correctly. Insulin is in wrong column when displayed and notes is displayed in insulin. These are headers only and should be a simple fix. An exercise column should be added to track daily exercise. By Carter of lake city fl.